You have 2408 characters. Don’t forget to add important and relevant keywords in your description to improve your iTunes app page and optimize your SEO. Your app's last version was released on November 13, 2016. It is important to regularly update your app. Best practices recommend to update your app every 4 to 6 weeks. This means fixing reported bugs, improving existing features, launching new features etc. Keep an eye on users' feedback. The next great features may already be asked by many users. 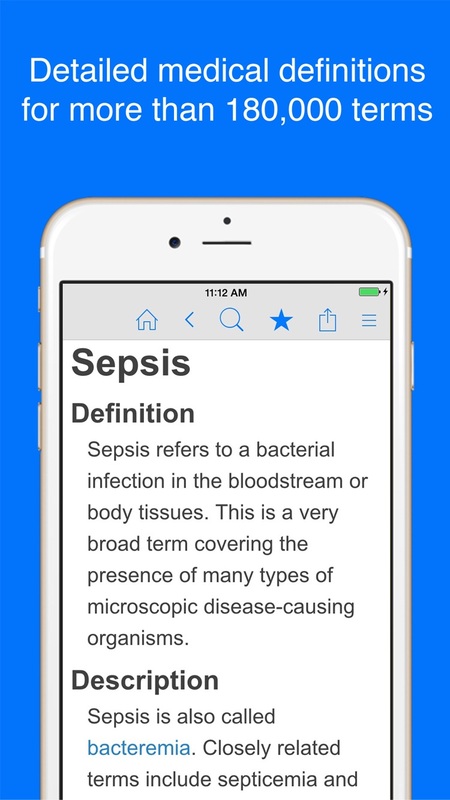 Medical Dictionary - Healthcare Definitions and Terminology is a free, iOS medical dictionary app that gives you instant access to more than 180,000 medical terms, over 50,000 audio pronunciations, and 12,000 images, all from authoritative sources, including McGraw-Hill, Houghton Mifflin, Elsevier, Mosby's, Saunders, Dorland's, Gale, and more. 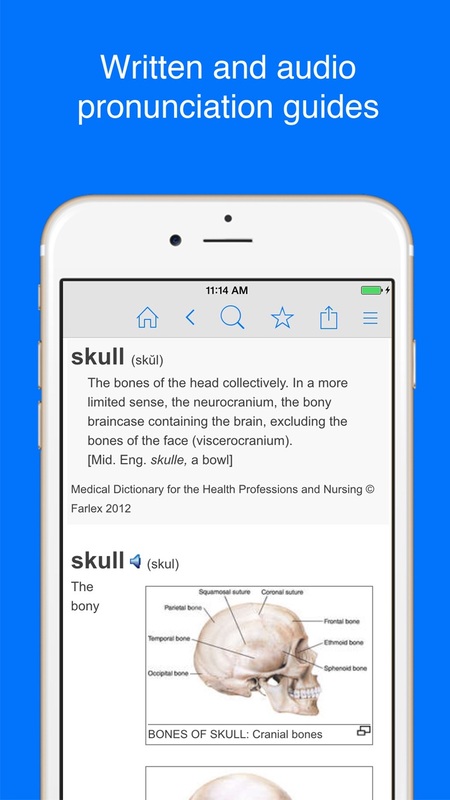 * Search 180,000+ medical terms and definitions. * Access over 40,000 entries available anytime offline. * Browse 1,000s of medical abbreviations and acronyms. * Study more than 4,000 over-the-counter and prescription drugs in our medication guide. * View your recent searches. * See search suggestions as you type. * Perform advanced searches, including "Starts with," "Ends with," "Contains," and "Wildcard." 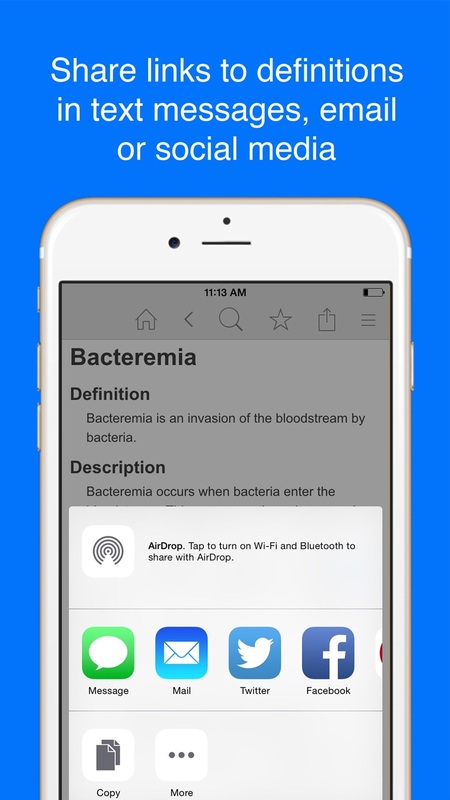 * Share definitions via social networks, email, and text (with supported devices). 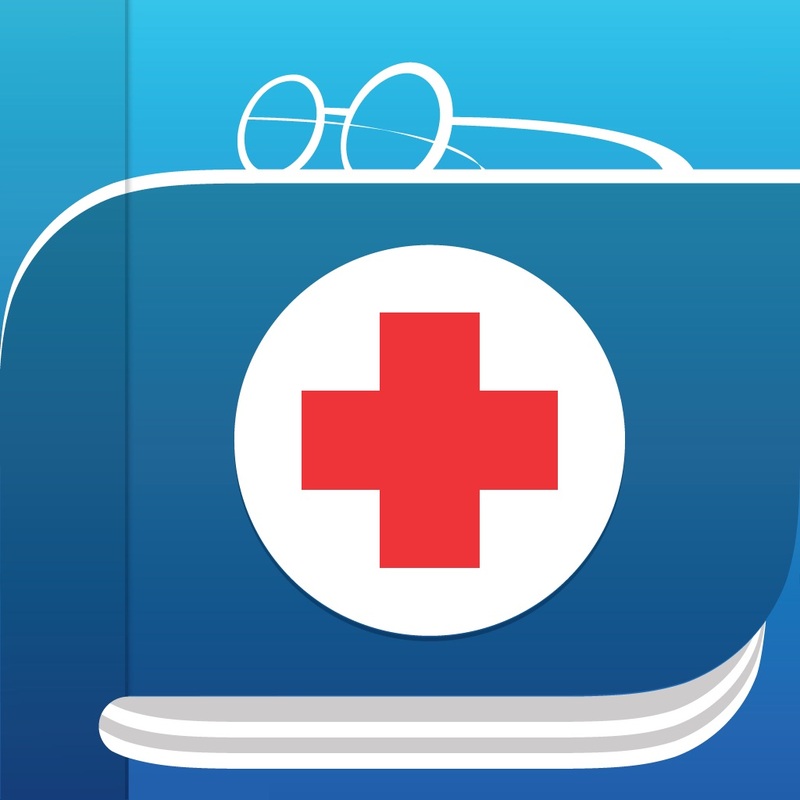 User-friendly, Comprehensive, and Authoritative: Medical Dictionary - Healthcare Definitions and Terminology is the perfect free medical app for doctors, nurses, medical education students, and health care consumers. This is NOT a preview or a trial version, and there is no "locked" content. Open the app on your iPhone or iPad and immediately access all content — no subscriptions required! TheFreeDictionary.com - Farlex apps have been downloaded tens of millions times across multiple platforms, with top ratings after hundreds of thousands of reviews. We work with the best publishers to bring together trusted content in the most comprehensive, authoritative dictionary apps on the market. 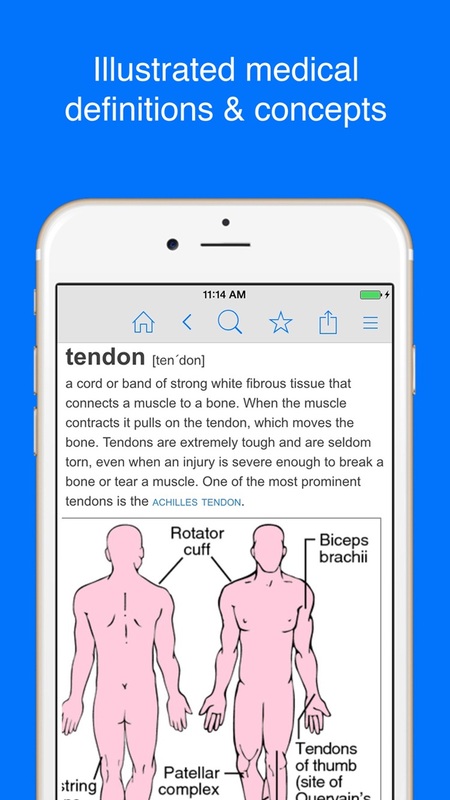 Our flagship app is The Free Dictionary (TFD), powered by TheFreeDictionary.com. Find our other apps by searching "Dictionary by Farlex" in the App Store.